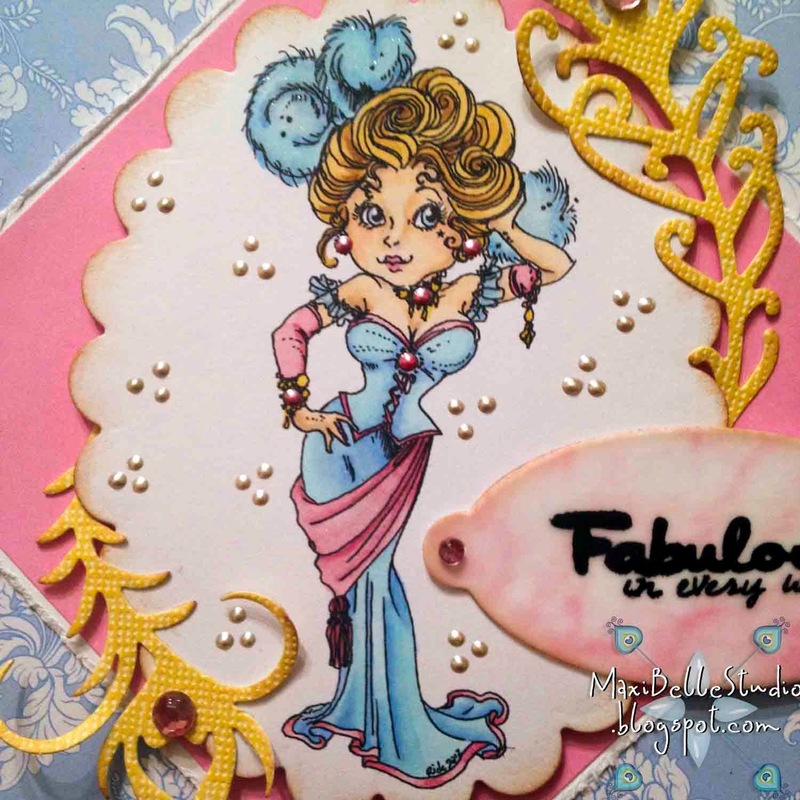 Dies R Us: Fabulous in every way! Hello friends, fans & followers of Dies R Us! It's Friday so that means it's my turn to finish of this wonderful week of inspiration again. I hope that you've had the opportunity to catch the other DT's gorgeous creations from this week, they're pretty special! Onto my creation for the week. I started off wanting to showcase one of my favorite (Spellbinders Jeweled Fantasies) but have also incorporated a brand new favorite one too! The digital image I've used comes from Rick St Dennis (Mae) & I've coloured her using my trusted Copics. 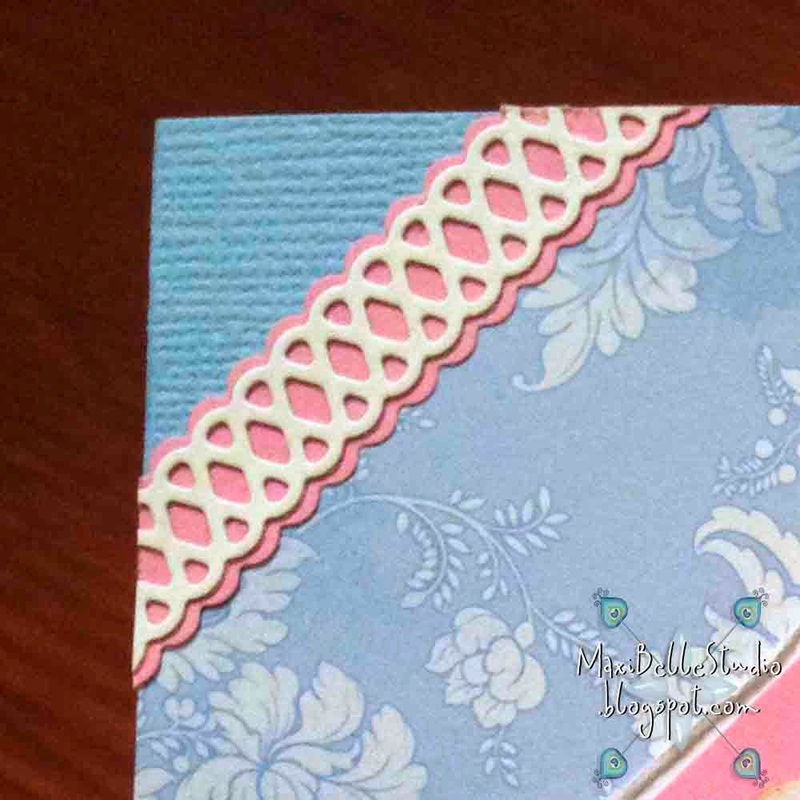 She has been framed with the Spellbinders Classic Scalloped Oval and layered her simply on some cardstock. 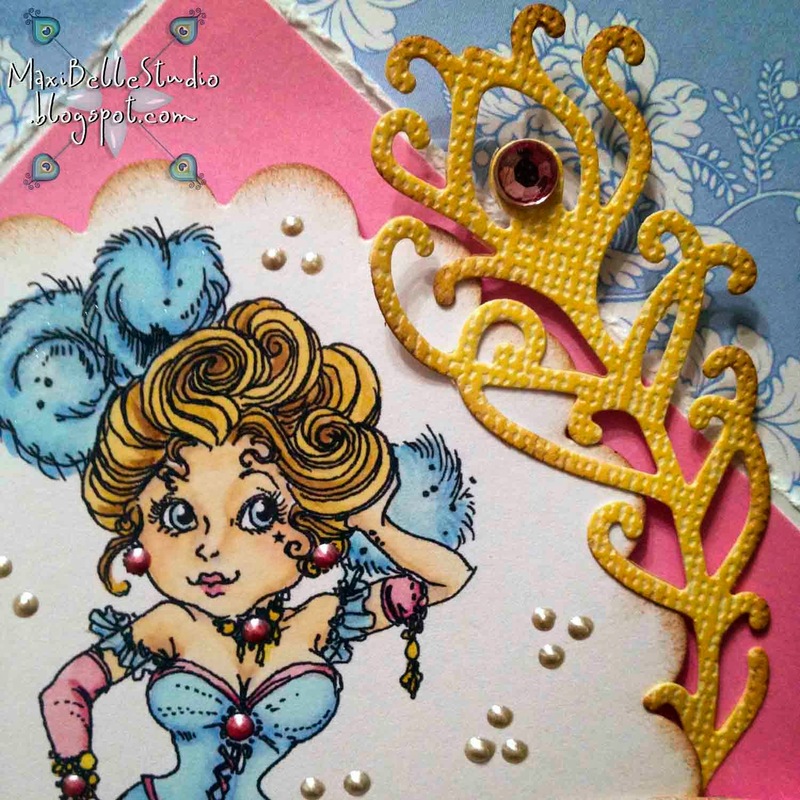 I wanted to highlight the feathers in her costume so I added a couple of the Spellbinders Jewelled Fantasies feathers, which I edged in Vintage Photo Distress Ink and adheared a rhinestone to. This was the first time I used a new die set in my collection & that is the Cheery Lyn Designs Alison's Ribbon die. It comes in 2 separate plates, one for the ribbon base (5 bases) & one for the ribbon decoration (7 to choose from). There are endless combinations to this die which makes it so versatile & handy! Here is a close up of the 'ribbon' I used, plus all of the other 'left overs'. Look at all of those combinations! I've finished off my creation with some Liquid Pearls & a splash of Wink of Stella, for that ever important bling! Thanks for stopping by & letting me share my creativity with you. As always your design and coloring are wonderful! Mae is not only beautifully colored, but quite a stunner! Love the design & those ribbon dies really added the perfect touch. I may have to check those out now! Beautiful! Love that feather die. I've been searching for one for a project and think I just found it! Thanks for the inspiration.